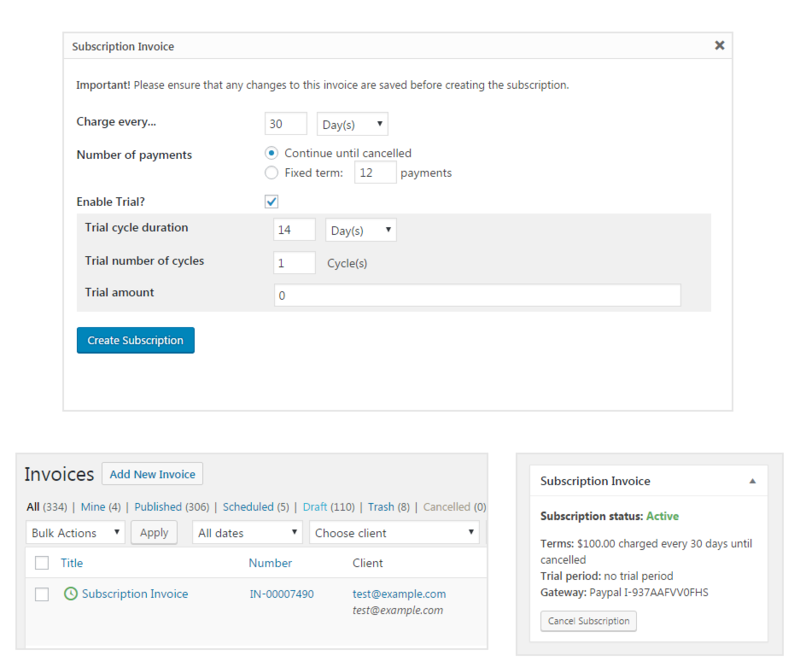 This extension allows you to easily charge your clients with automatic recurring payments. Need repeating invoices that can vary from month-to-month and/or invoices that your clients can review before making payment? Try Recurring Invoices. 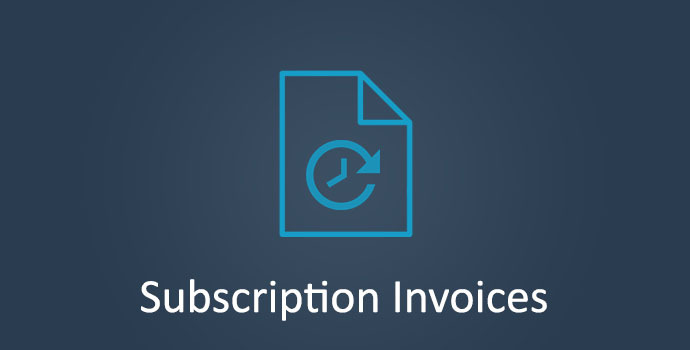 Simply click on the ‘Create Subscription Invoice’ button and a popup will appear, allowing you to choose the frequency of the payments in days, months or years. You can even add an optional trial period, include free trials and other trial amounts.